Claiming the tax credit for Scientific Research and Experimental Development (SR-ED) is often a forbidding experience, more than often preoccupying and always fastidious. "Pour faire de grandes choses, il ne faut pas être au-dessus des hommes, il faut être avec eux." The tax credit for Scientific Research and Experimental Development (SR-ED) is a subsidy programme for innovation administered by the Canadian Revenue Agency. Numerous tax credit claims have been drawn up and followed up by 2PS network members in Canada, with great success in all industrial fields. If only you knew how many hackers, handymen, inventors, misunderstood geniuses and do-it-yourself enthusiasts there were in both small and medium sized companies! These people are often at the origin of new developments and innovations which make Canada a leader in so many scientific areas. For more information about the programme, visit the SR-ED section of the CRA website. 2PS can make claiming your tax credits simple and effortless. "I cannot be admitted! I don't do any research!" Tax credit and research are not necessarily one and the same thing! Do you think that you have to do research to get this tax credit? Not necessarily! The fund is called Investment Tax Credit for Scientific Research and Experimental Development (SR-ED). We have been claiming this tax credit for hundreds of companies since 2001: none did any Scientific Research. In a manner of speaking, there are two sections to tax credit for Scientific Research and Experimental Development (SR-ED). It is the second section, that of Experimental Development, which interests us. If you have done prototypes, tests, or trials which have been carried out over the last 18 months, you are most likely eligible. If you are at all in doubt about the eligibility of a technological project, 2PS can evaluate your potential with no obligation. Our advisors have experience which is recognised alongside great names in the Canadian industrial world but also alongside small technological enterprises. Find out how your business can benefit from the 2PS network! All 2PS services are paid for using a prepaid bank of credits (you buy 'credits' to be used for services). Usually a SR-ED claim requires about 40 credits (hours) to complete. To get the best results, at least two of our experts are involved. The hourly rate in Quebec is $150. This means that for $6,000 - which is a tiny percentage of what you will get back from the claim - you avoid the hassle of preparing all that paperwork by yourself. Moreover, if during the process you change your mind, the credits in your bank are applicable to any other 2PS service, so there are no associated risks! 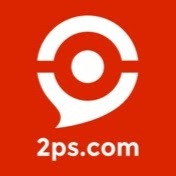 Yann Rousselot-Pailley is the co-founder of 2PS. Before that, he founded a consulting boutique specializing in tax credits in 2001, and has been an expert in helping organizations claim Scientific Research and Experimental Development (SR-ED) tax credits. Being a seasoned consultant of over 20 years, Yann's career started at an early age of 19, when he was an analyst and consultant to a Qatari investor in his hometown in France. He moved on to be a consultant at KPMG, before moving on to founding his two businesses - Present Profit Solutions, and the spin-off project, 2PS. In the area of word processing, we have stopped counting our success stories. For example, a company which already claimed a generous provincial tax credit covering 40% of the admissible salaried expenses contacted us for a simple evaluation of its potential. After we had visited them and carried out our analysis and recommendations, the company received more than one million extra dollars. An optimisation of several subsidies was necessary. One company which already claimed back more than $900,000 of tax credit for scientific research and experimental development (SR-ED) saw its claim increased by $600,000 during just one tax year. You will be surprised to know that this spectacular increase resulted from just one single visit to the company's premises by one of our advisors. Start claiming your tax credits for SR-ED with our experts! Can the world become more effective with the gig economy?